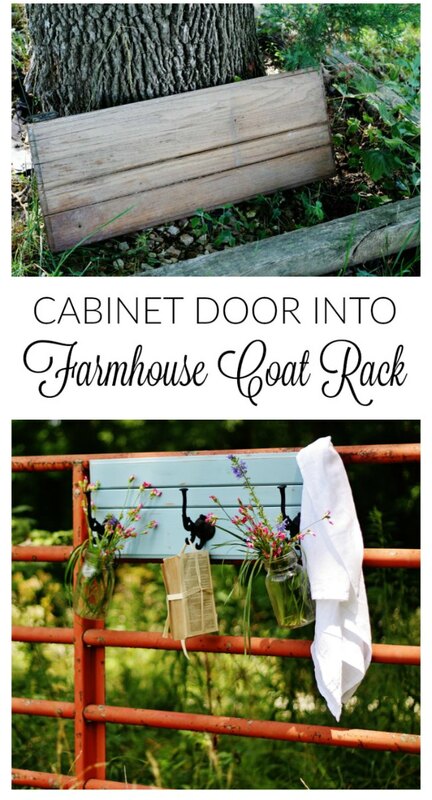 I’ve got a DIY coat rack project to show you (which I’m head over heals in love with), I’ve teamed up with the Farmhouse Friends team again this month (you’ll see all their projects below), and we’ve got a giveaway that’ll blow you away (pun totally intended)! Enter to win at the end of this post! Four years ago, I brought home a ginormous stack of antique tongue and groove wood that had been removed from a demolished historic courthouse. I created and sold SO many coat racks with that gorgeous old wood. In fact, I looked back to see how many I sold, and there were 82 of them. That’s a lot of coat racks! 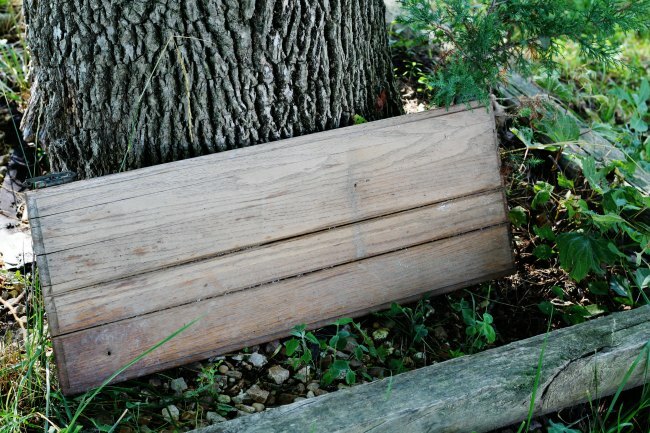 By the time I ran out of that wood, I didn’t know if I’d ever want to make another wooden coat rack again, but when I discovered this cabinet door in my junk pile, it reminded me of the wood from the courthouse, so I had to make just one more. There were seriously only 4 steps to make this coat rack, so anyone can do it! 1. 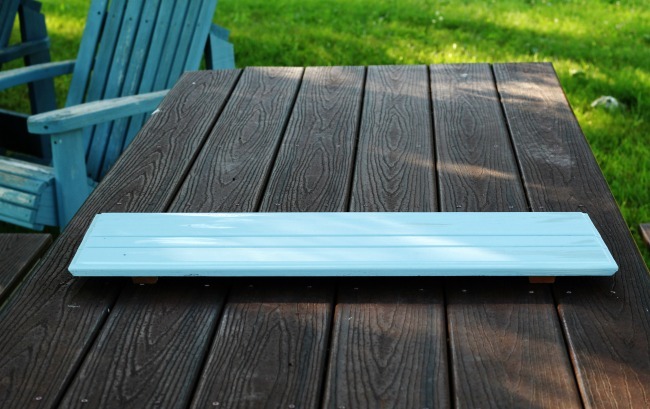 Paint a cabinet door (or regular wood if you don’t have a cabinet door. 2. Distress the painted door. 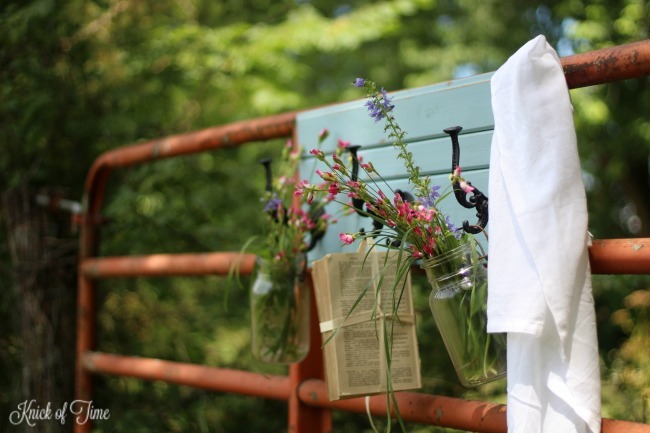 Our coats are stored away for summer, so I hung mason jars with flowers on it. 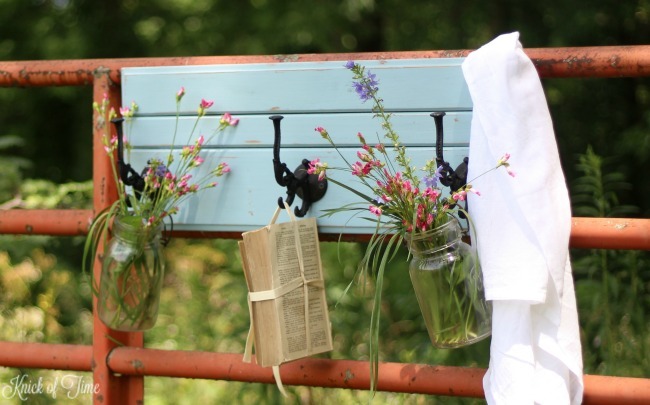 This DIY coat rack really is easy enough for anyone to do! Before we get to the giveaway, let’s take a look at what the rest of my Farmhouse Friends created this month! Click their names or photos below to see each blogger’s project! 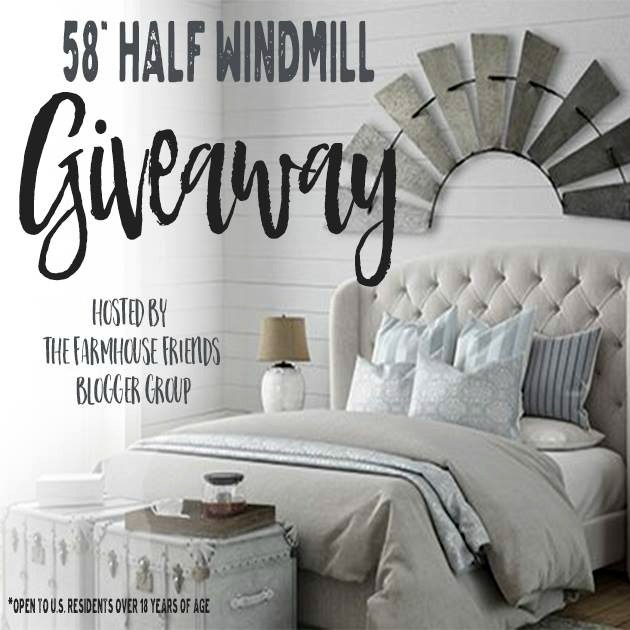 Seriously, I’m so envious of whoever the lucky winner will be of this 58″ windmill blades wall decor! Pay us a visit on Facebook and like our giveaway post or leave a FB comment telling us where you’d hang this amazing giveaway as your entry – comments are appreciated too! 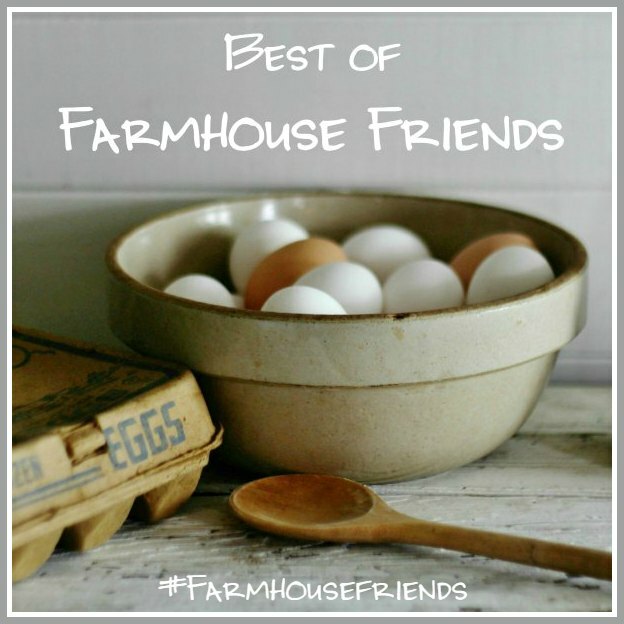 Each Farmhouse Friends blogger will announce the winner on their Facebook page on July 22nd. This giveaway is open to anyone age 18 years or older with a US shipping address. As always…homerun. I think I love the mason jars and books hanging more than I would an actual coat 🙂 SO simple and easy, which I love. I’m so impressed you made and sold so many! Rightfully so! I haven’t wanted to win a give away this much in a long time! I’ve been searching for yrs for the perfect metal piece to hang on my living room wall…this is it! And I just finished a remodel last fall with grays, white & beach blues. This is perfect! Very Cute Angie…love the color and especially how you have styled it! Whew! that’s a lot of coat racks. I’m glad you decided to make one more. This one is so pretty! I love the mason jars and books hanging from it. I’m crushing on the color too! It’s perfect. I love the color you chose also. Great project! I just love this project. So simple but so cute and functional 🙂 And I love the way you styled it, too! I’d love something like this in my bathroom to use for towels! 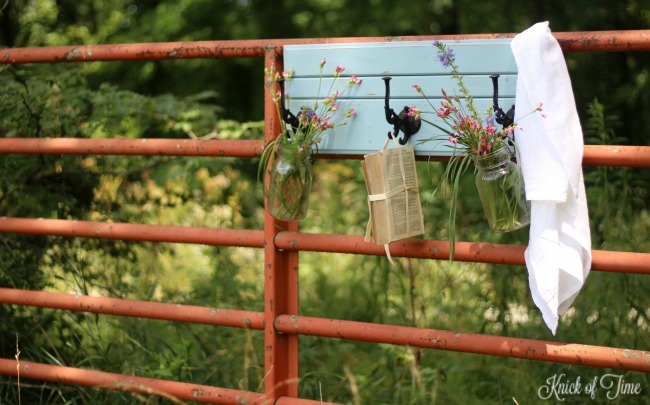 I love the mason jars and books hanging from your coat rack. It’s such a pretty look. I can think of so many places that this piece could be used either functionally or decoratively in a home. It’s no wonder that you’ve sold so many over the years. I visited (and Liked) all the pages. I’d love to win and hang this right over my bed! I’m so excited……and I can’t wait to get it. Love your blog and I get so much inspiration!!! Thanks so much!!! !